A long time ago, Zeus, the great god, created a three–tier hierarchy of angels, top, middle and lower, although they were supposed to be equal. Also, Zeus appointed 6 angels as Saint Beasts who govern the animals of Earth. 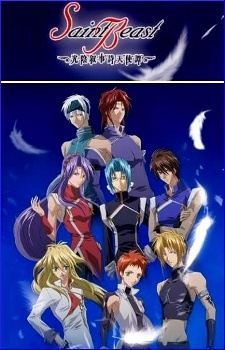 They were: Go, the seiyu; Shin, the genbu; Rei, the suzaku; Guy, the byakko; Yuda, the kirin; and Ruka, the hooh. However, Kira, the shooting star, and Maya, the fuga, didn’t attend the selection tests and left for the Earth. The six angels fulfilled their tasks faithfully. However, because of Zeus’s increasingly tyrannical acts, they begin to mistrust him.